The Scratching Post: Is The Racialism Thing Just About Played Out? I get the feeling more and more lately that the racialist moment is ending. 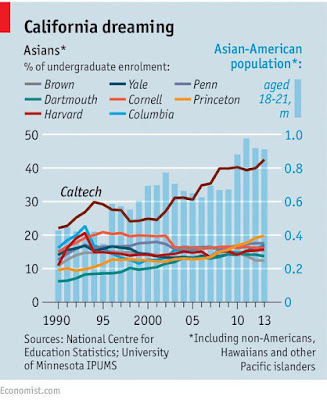 The Asian-American lawsuit against Harvard looks airtight. Dig this graph. 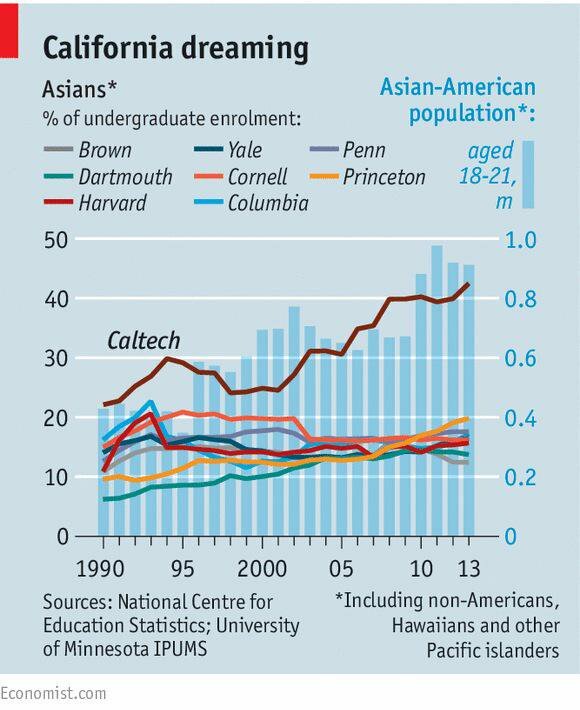 The Ivy League is clearly practicing racial discrimination against Asians and, if you read the data beyond just this graph, whites as well. If the Asians manage to get the admittance rules changed for them, it will have to change for everyone and that's a good thing. People who work hard should be rewarded and not just for their own sake. They make us all better as we have to compete with them. Were I surrounded by slovenly louts, I probably wouldn't be listening to non-fiction books all the time. I wouldn't feel the need to up my game. What's going on now is a good thing.